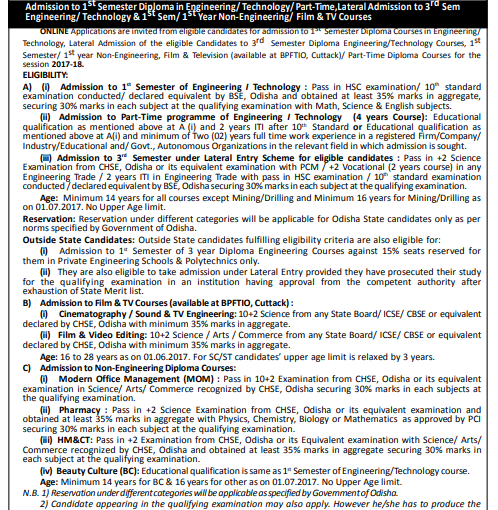 Odisha DET 2019 Application Form: To get admission in various diploma courses in the field of Engineering/ Technology/ Architecture/ Non-Engineering/ Film & T.V. programmes, candidates have to apply for the DET Orissa Application Form. 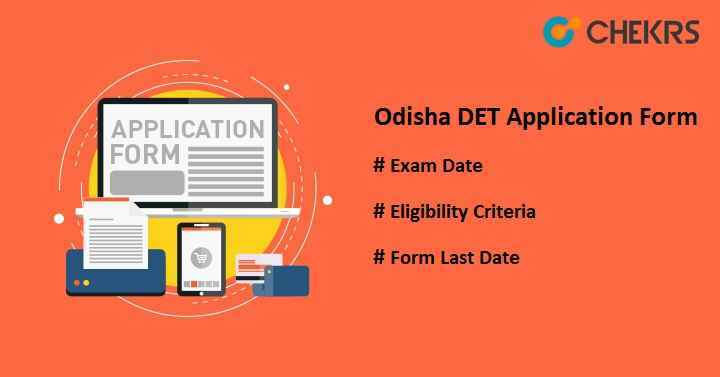 Odisha DET entrance exam is a state- level exam conducted for candidates who wish to take admission in various polytechnic colleges in Orissa state for the academic session 2019-2020. The admission will be done on the basis of scores obtained in the qualifying examination. The official authority of DTET will prepare a merit list according to the candidate’s performance in the exam. After merit list declaration, counselling will be organized for qualified candidates. Below are the tentative schedules of Odisha DET Exam. We will update the official dates after release of notification on the official site. New user can click on the link “New User Registration”. Click on the button “Apply Online”. Read all the instructions carefully and click on the declaration message “I Agree”. After this, application form will appear on the screen. Fill the application form with details like candidate’s name, qualification, communication details. Enter valid mail-id & mobile no for verification. After this, OTP will be generated and sent to the registered mobile no. Candidate must enter OTP at the given space to proceed for further process. Upload the images in the given box on the application form. Size of photograph must be less than 100 KB and should be uploaded only in jpg format. Applicants must upload signature of size less than 30 KB in jpg format. Pay the application fee through either online or offline mode. Fee can be paid through generated e-challan of Axis bank. Orissa Diploma Application Fee will be Rs.250 for male candidates but for SC/ST/Female & PwD candidates, fee will be Rs. 200/- . Applicants must take the print-out of filled-up application form after submission, for future reference or further procedure.